We are a renowned Plastic Art Products/Accessories Manufacturer, Exporter and Supplier. 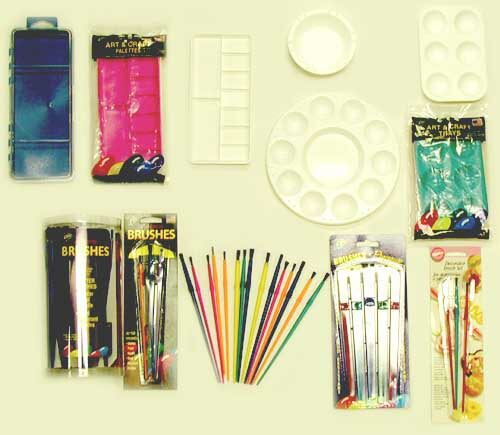 We are offering a variety of Plastic Arts & Crafts Accessories that appeal to the young artists. 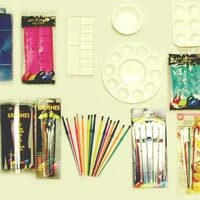 These Plastic Arts & Crafts Accessories include packaged paintbrushes (in bulk or blister packs), lite catchers, stencils, paint trays of all sizes and water cups. While in most instances these will eventually be sold to individual consumers, Plastic Art Accessories, we manufacture, are also enjoyed by many schools where art departments stack such products in bulk for the use of their students. We offer these products at discounted prices compared to other Plastic Art Accessories Manufacturers in the market. Take a moment to browse through some examples of our work included in the photo gallery below. We offer these products at competitive prices. Take a moment to browse through some examples of our work, included in the photo gallery below.